We are the people of Facebook. 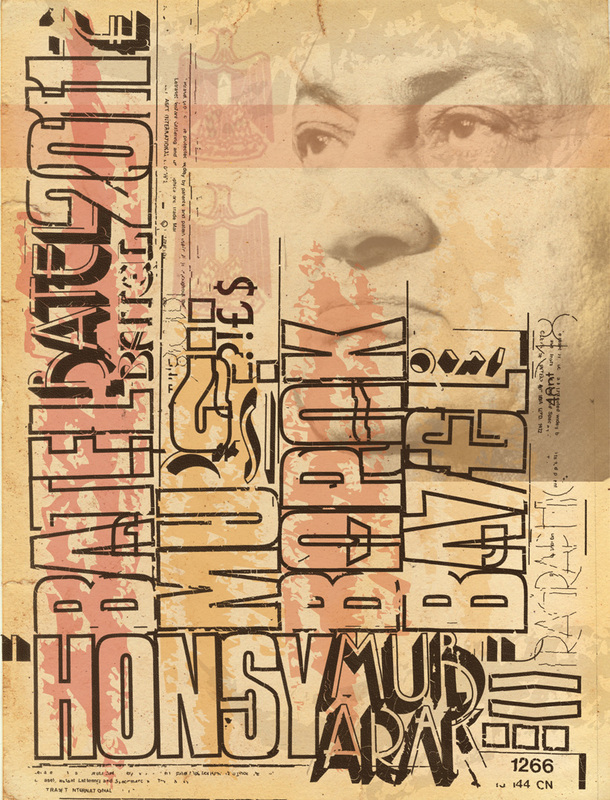 Above: Mathias, Letraset on plastic. Genial! My intermediate typonauten recently undertook the same challenge undertaken by the GRD_2010 grupetto, and have provided equally compelling sketches and solutions. Once again we focused on solving this problem by hand, then allowing the computer to aid the creation of multiple solutions. 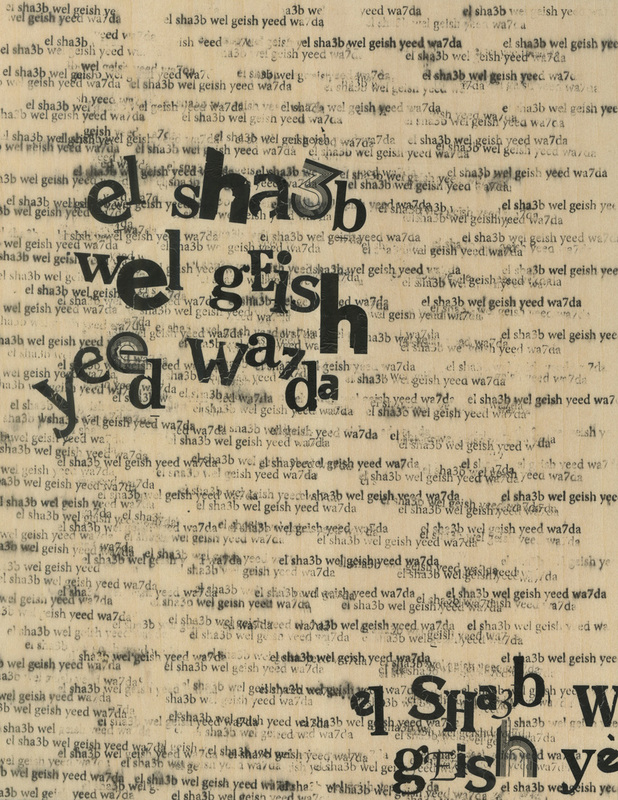 All text still references the chants and phrases Mona provided us, translated into cell-phone type. 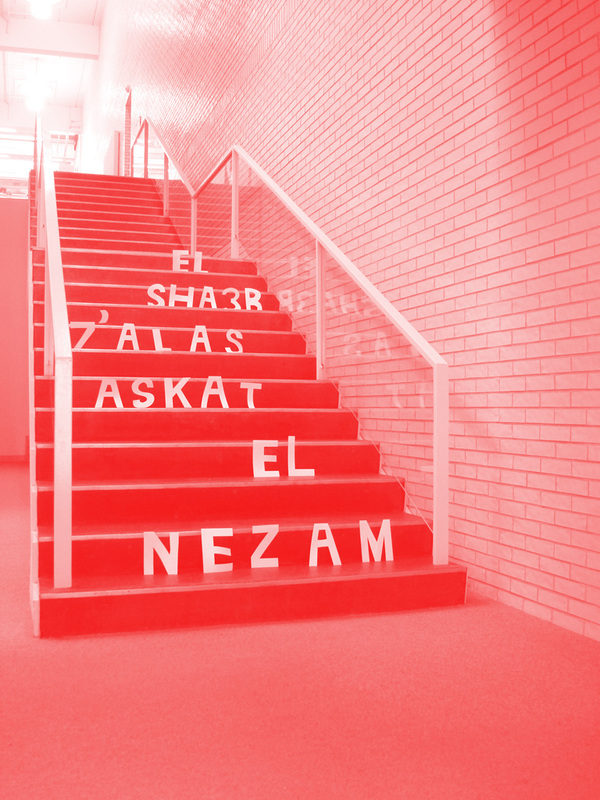 Student work is displayed alphabetically, look for Sarah’s inspired GIF toward the end. Above: Andy, Letraset, photocopier, guts. 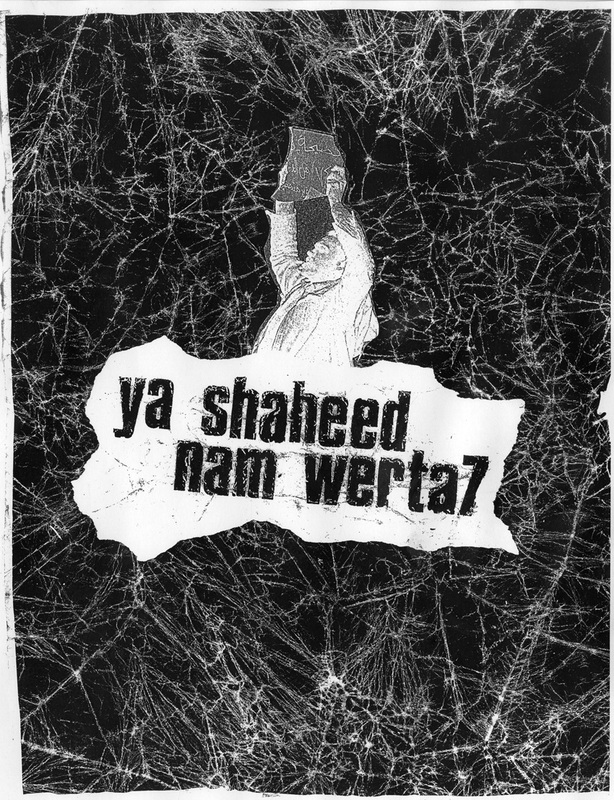 “Ya shaheed nam werta7.” Martyrs you can rest in peace now. Above: Anne, Letraset, transfer pen. “Al sha3b yourid eskat el nezam.” The nation wants to bring down the system. 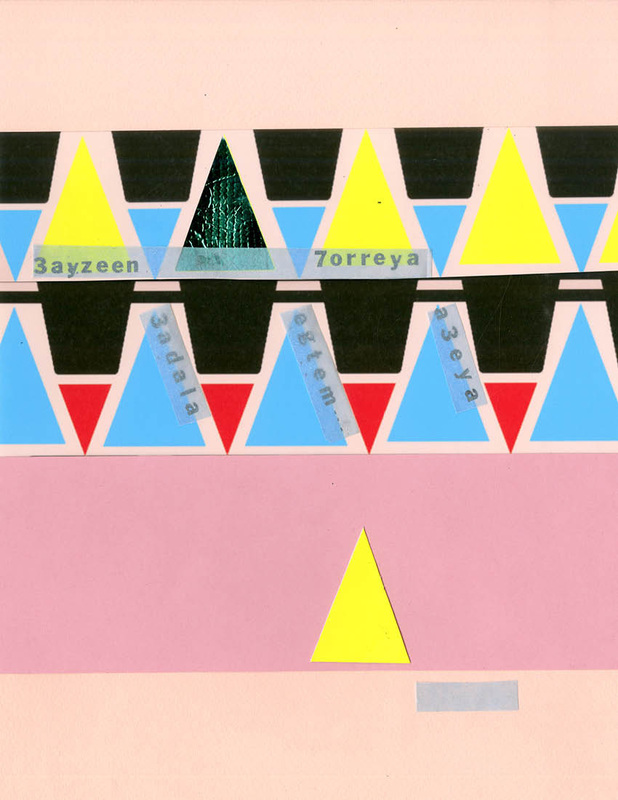 Above: Ashley, Letraset, collage. “Al sha3b yourid eskat el nezam.” The nation wants to bring down the system. Above: Ashby, Letraset, collage. 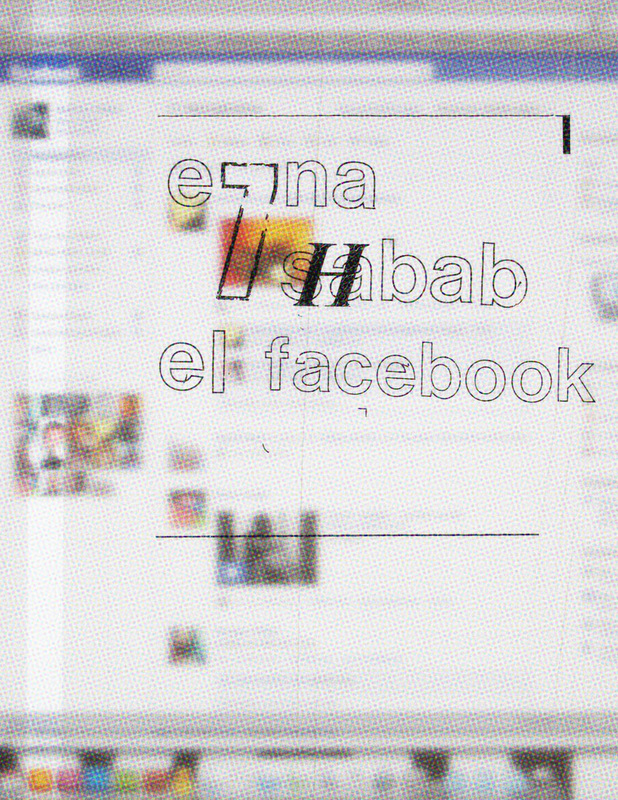 “Al sha3b yourid eskat el nezam.” The nation wants to bring down the system. Above: Kayla, folded paper type. 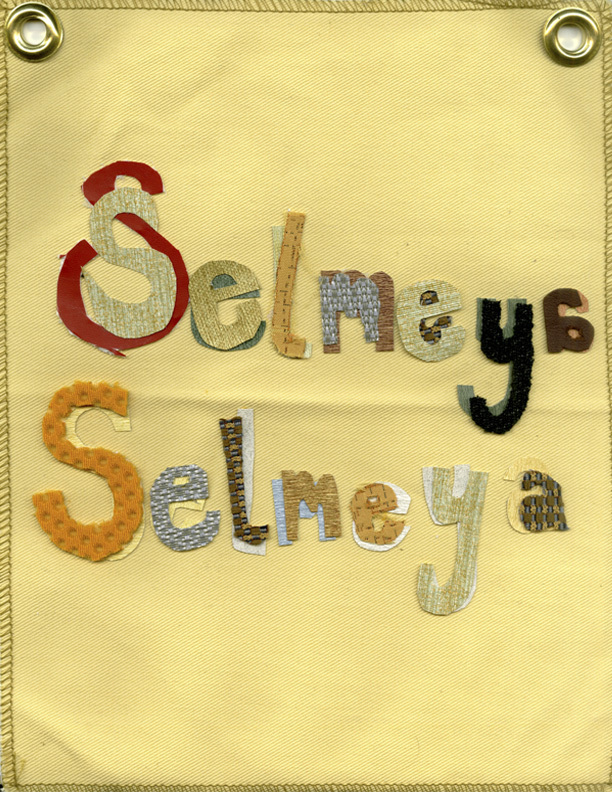 “Selmeya, selmeya.” Peaceful, peaceful. 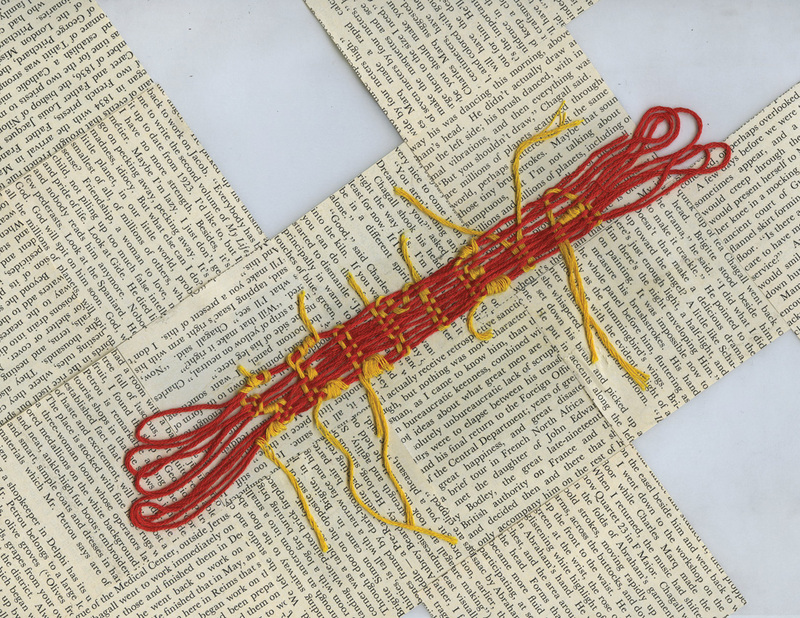 Above: Katie, collage, thread. 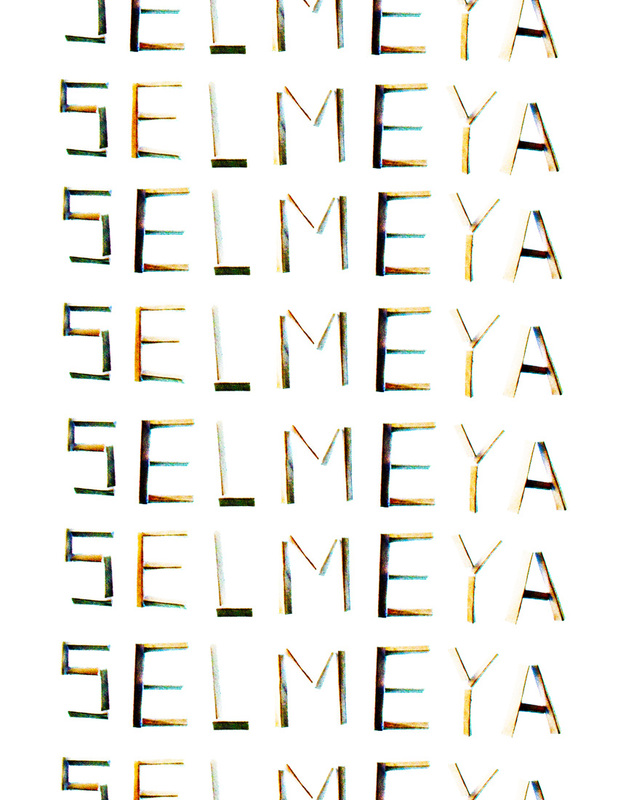 “Selmeya.” Peaceful. Above: Megan, Letraset on glass. “Selmeya, selmeya.” Peaceful, peaceful. 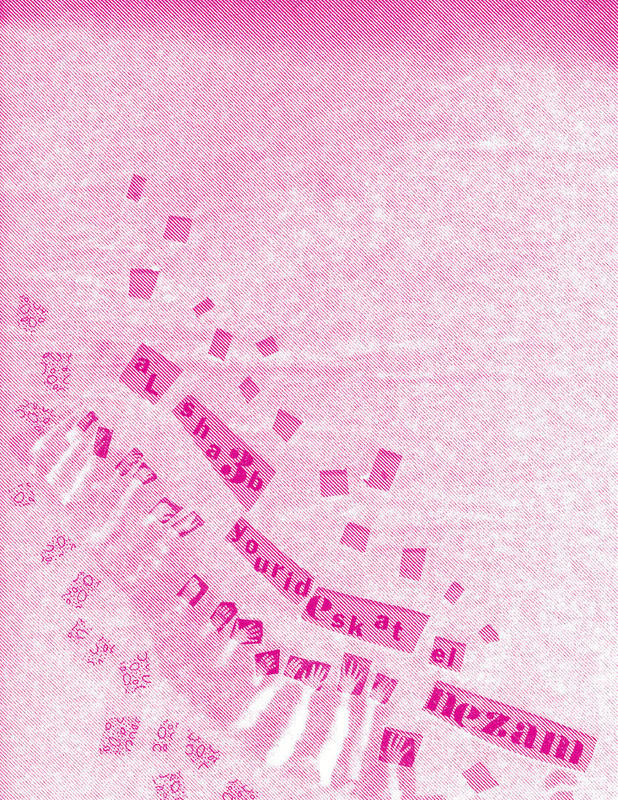 Above: Madeline, Letraset, collage. “Al sha3b yourid eskat el nezam.” The nation wants to bring down the system. Above: Madeline, Letraset, collage. 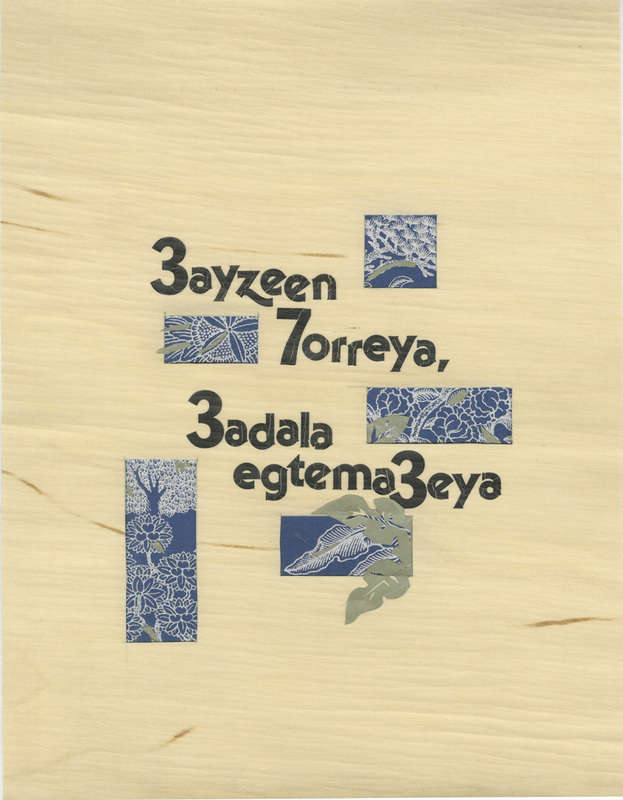 “3ayzeen 7orreya, 3adala egtema3eya.” We want freedom and social justice. 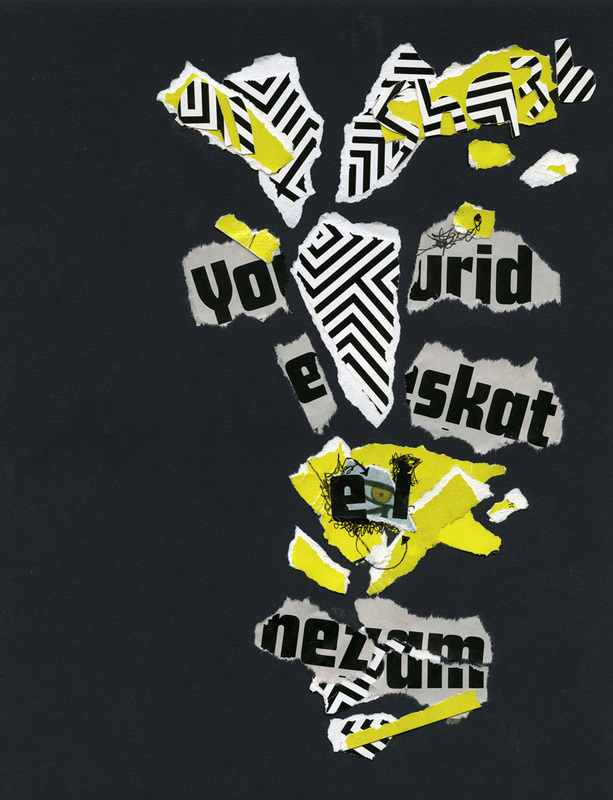 Above: Natalia, Letraset, collage. 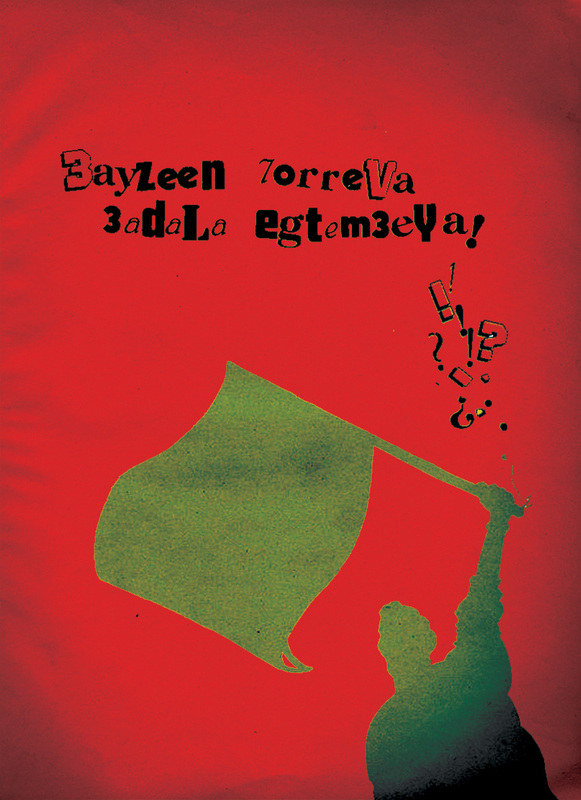 “3ayzeen 7orreya, 3adala egtema3eya.” We want freedom and social justice. Above: Ryan, Letraset, collage on wood. “3ayzeen 7orreya, 3adala egtema3eya.” We want freedom and social justice. Above: Sydney A., Letraset, transfer pen. “El sha3b wel geish yeed wa7da.” The people and the army, one hand. Above: Sarah, cut paper. 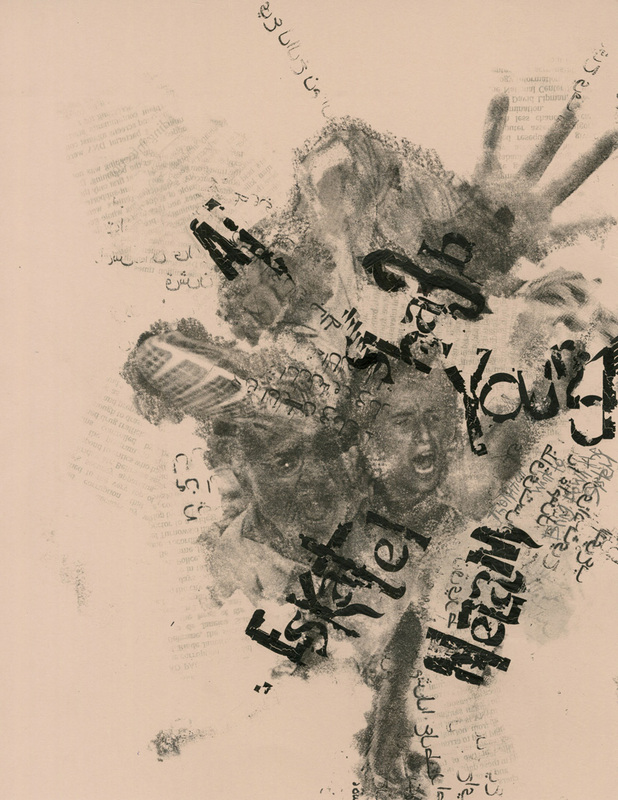 “Al sha3b yourid eskat el nezam.” The nation wants to bring down the system. Above: Sarah, Letraset. 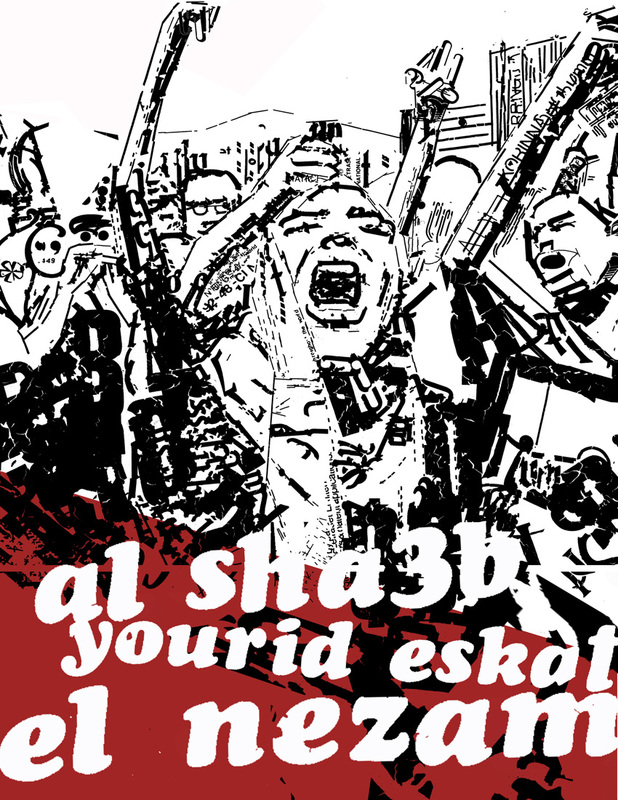 “Al sha3b yourid eskat el nezam.” The nation wants to bring down the system. Above: Sarah, cut paper. Genial! 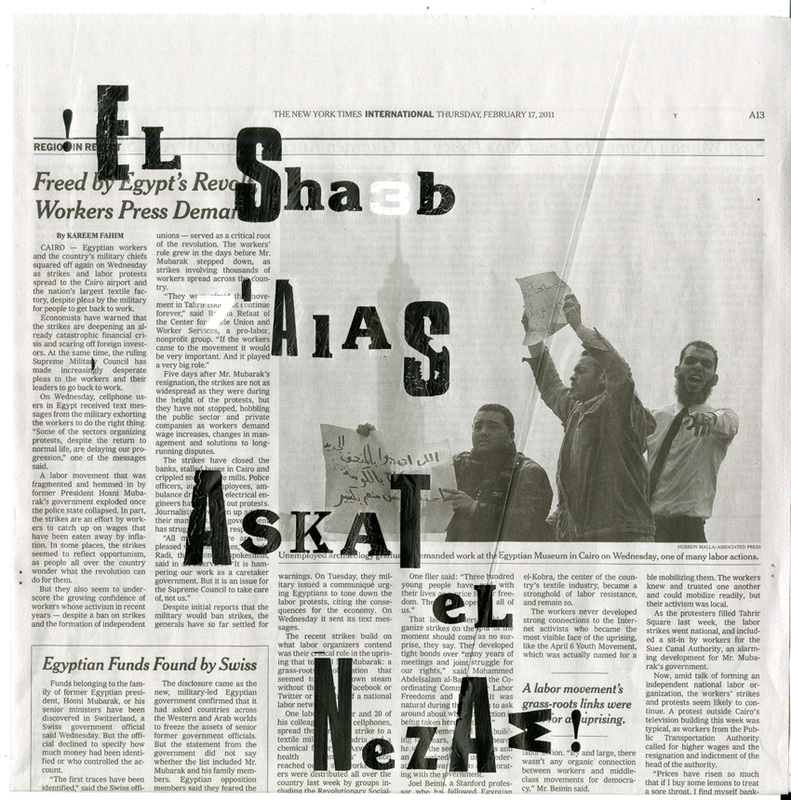 “Al sha3b yourid eskat el nezam.” The nation wants to bring down the system. Above: Sydney, found material. “Selmeya, selmeya.” Peaceful, peaceful. Above: Ted, Letraset, paper bag, white out. “Magles el sha3b… batel.” Parliament… illegitimate. Above: Taylor, Letraset, transfer pen. 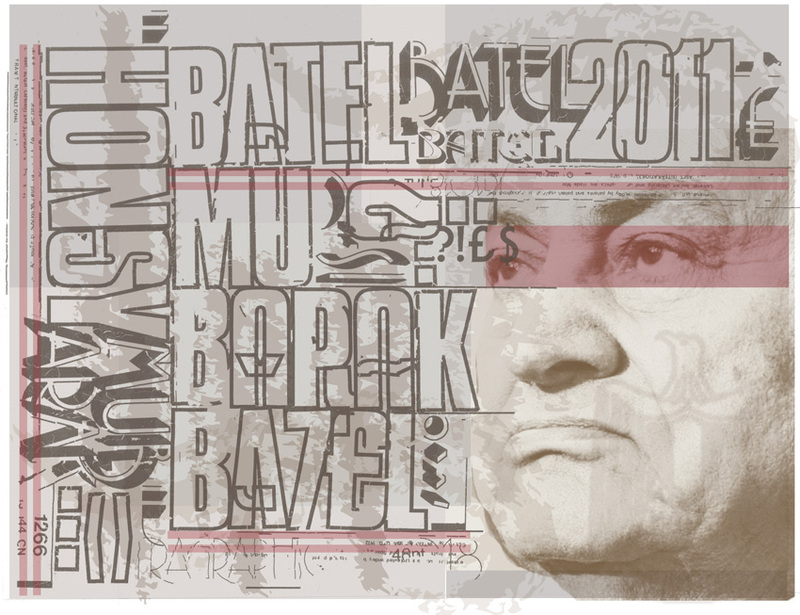 “Hosny Mubarak… batel.” Hosny Mubarak… illegitimate. Many thanks to this dedicated grupetto for their efforts, you deserve a rousing song as well! these are really great! thanks! i really like taylor’s. 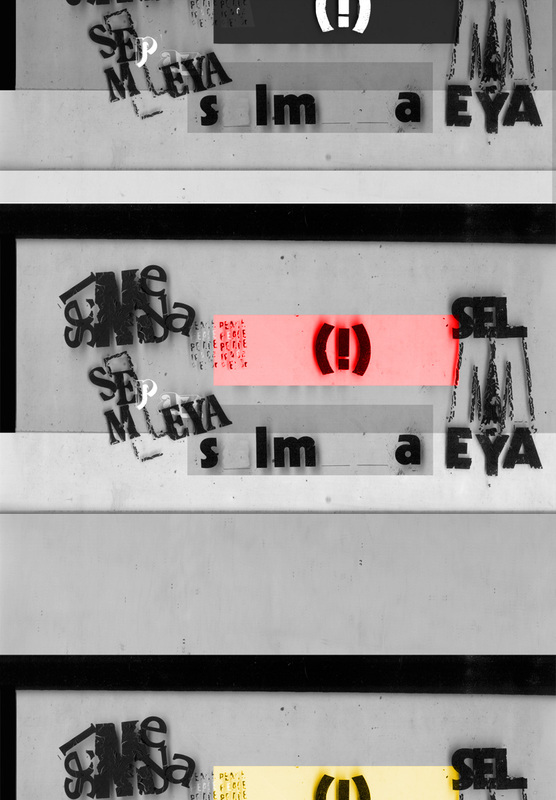 This entry was posted by Erik Brandt on Sunday, February 20th, 2011 at 12:23 PM	and is filed under Aktuell, Education, Ephemera, Geotypografika, Globalization, Graphic Design, International, Internet, MCAD, Minneapolis, Musica Viva, News Links, Typografika, Typography.